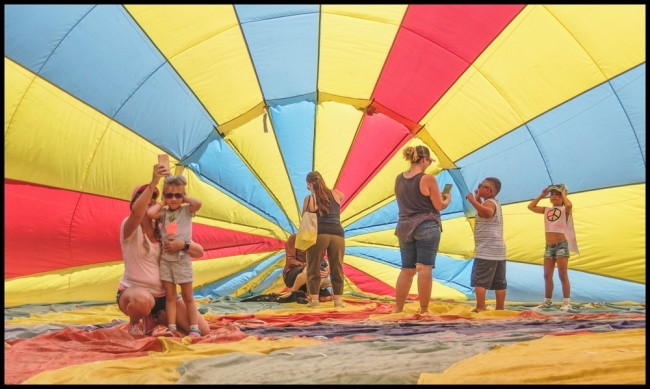 One of the attractions was an opportunity to go inside a partially inflated hot air balloon. At one point I thought this was the only hot air balloon that we were going to see. This entry was posted in People, Things. Bookmark the permalink.